ololo are three like minded friends (Steve Berrick, Steven Buckles and Alex McEwen) who have operated as an artistic production group since 2001. 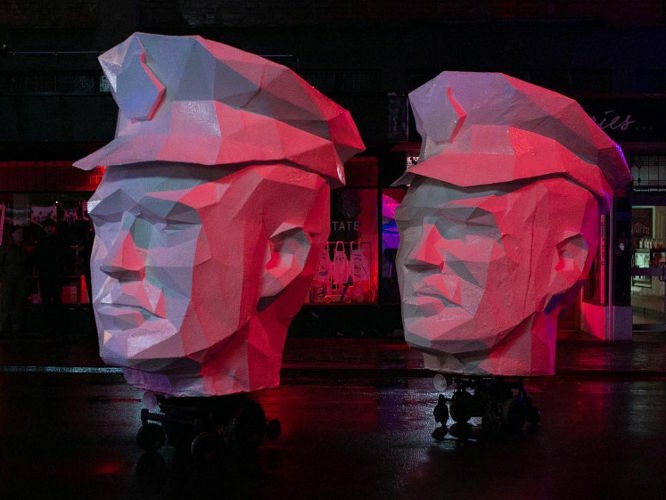 Their unique blend of visual, street and digital art in conjunction with interactive performance has been a major facet of Perth’s contemporary and experimental arts scene since their inception. In recent they years have produced a series of large scale works in public spaces both diverse in medium and context, delivered with a wry insightful humour and technical sophistication.